William Howard was born about 1780 in an unknown place and died about 1850 somewhere in Alabama. Dates for birth and death are estimated. He lived to be about 70 years old. In 1840 when William is between 60-70 years old, he is found living next door to Simeon (who is 35 years old). John and Ralph Howard also live in the same county and are close to Simeon's age. We are not sure the relationship of John and Ralph to Simeon or William. The long shot is if William is a brother born 1810 living with his wife in the 1840 census, two sons born between(1835-1840) and (1830-40) and father or father in law (60-70). Using 'best guess' and almost no facts,they may fit in with this family from North Carolina. We know there were two brothers, William H. (born between 1775-1780) and Ralph Owen (born 1797)who moved from Milledgeville, GA. They are the sons of Nehemiah Howard from Craven Co. NC and Cross Keys, SC. Ralph O. Howard has been well documented, He was born in Milledgeville, GA and moved to Seale, Russell Co. AL. William is not well documented and we have read that he didn't marry. 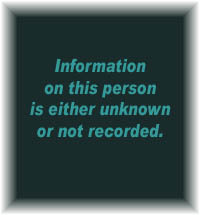 NOTE: Do you have information on this person? Please email us if you can help solve this mystery. 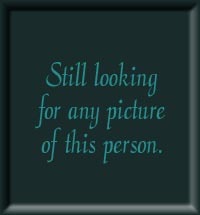 (page 186:) James Howard moved to the town of Washington in January 1818, and joined the Church there in 1821. James E. Nicholson, William Hester, and Stephen Pierce moved to the town of Washington about the same time James Howard did, and they and their wives were members of the Church there. Thomas Smith moved to that section of country in January, 1818. (Page 423-4): Space would fail should the attempt be made to tell of the Rev. Moses Andrew, M.D., and the Rev. William Terry, local preachers, and Charles G. Rush, James E. Nicholson, James Howard, Thomas Hatchett, and others of the Alabama Circuit; Judge James Lane, Barr, Luckie, Harrington, Grimes, Barns, Warren, Yeldell, Godbold, McArthur, Ross, Davis, Muldrow, and others of the Cedar Creek Circuit who, through all the agitation, secession, and desertion, stood firm against every innovation of the Episcopal form of government. Near the site of the Holy Ground, where was fought the famous battle in which General Claiborne achieved a complete victory, and Weatherford, the Indian warrior, displayed unsurpassed chivalry, a Methodist church was erected as early as 1820; and by that same date a Society was organized and a log cabin was erected for a church in Dutch Bend, about three miles from Vernon. That church was named Asbury. Washington was one of the preaching places at the first. Through 1819 and 1820, and on into 1821, the Methodists preached in Washington in private houses, usually in the house of Major James Howard. A house was built and finished in 1821 for an Academy and a church conjointly. In a year or more the place was abandoned as a place for a school and the house was henceforward used exclusively as a Methodist church. (Page 186:) Mark Howard moved to the section now embraced in Autanga County before the county was made, and while Alabama was a Territory Leonidas Howard, the son of Mark Howard, who lives now near Mulberry, Autauga County, Alabama, and in the same neighborhood in which he has lived more than seventy years, and who was born in Georgia September 13, 1816, recollects being baptized in Autauga County, Alabama, in 1820, by the Rev. Alexander Talley, and recollects seeing his father baptized the same day by the same preacher. The son was baptized by sprinkling, the father was baptized by immersion. page 14 line:37 - William Howard: one male -under 10, one Male - 26 thru 44. three Females - Under 10, one Female - 10 thru 15, one Female - 26 thru 44.
page 9 - Vinny Howard (26-45)& family, page 14 Thomas Howard (16-26) & family, page 15 - Samuel L. Howard (16-25) with family and page 17 Sarah Howard (over 45) and family. William Howard - 2 Males - (Under 5), 2 Males - (5 thru 9), 1 Male - (30 thru 39), 1 Female - (Under 5), 1 Female - (10 thru 14), 1 Female - (30 thru 39). line 24 -William Howard- two males (10-15),two males (20-30), 0ne male (50-60), one female (40-50). next door: line 25 -John Howard - one male (under 5),one male (20-30),one female (15-20). Book C,Page 82 - recorded Dec. 18th 1838 - William and Simeon Howard leased land from David Holland of the State of Alabama for four years. This indenture made and endured unto this the twenty seventh day of Oct. in the our Lord one thousand eight hundred and thirty eight between David Holland of the State and county aforesaid of the one part and William & Simeon Howard of the same State and county of the other part . Witnesseth that the said Holland for and in consideration here in men lived viz the said William Howard is to clear cultivate and put under a common two rail fence thirty acres of land and as much more as the said William may see prosper(?) and to build such cabins as he has fit for his own convenience. and the said Simeon Howard is to clear cultivate and put under a common two rail fence between two and fifteen acres of land and build such cabins as is necessary for his convenience, hath this day bargained and into the said William and Simeon a certain parcel of land for the farm and space of four years from the 1st of January 1839 and no longer contains and hundred and forty acres mention of being the south west quarter of section 24, township 18 and range 28 wherein the said land is to be cleared cultivated and the said William and Simeon agree that if the land parcel should mark sale of said land before the term of four years is unfinished they will give possession to him or any other the first of January thus four by being sales first or paid the value of this land and if they can not agree upon the value within(?) of the agree to heirs s-to-the valuation of two others person who are judge of such matters and the said, David do here by warrant and defend the right title and claim of said land and promises and all pertaining thirds to the said William and Simeon for the term and space of four years as afore and against himself, his heirs and assigns or against the clam of any other person or persons. Location of land owned by Simeon and William Howard - south west quarter of section 24, township 18 and range 28. 22 1802 Georgia formally cedes western claims for its southern boundary at the 31st parallel -- which will become the north western border of FL and southern border of AL. 25 1805 Indian cessions opened up large portions of western (Choctaw) and northern (Chickasaw and Cherokee) Alabama to white settlers. 33 1813 During 1813-14, Muskogee-speaking Creeks leave AL and move into areas in Northern FL in response to the Creek Civil War (also known as the Red-sticks War). 33 1813 Two battles begin the Creek Indian War: (1) Fort Mims Massacre - Fort Mims is attacked on August 13 by the Red Sticks while the inhabitants are eating their noon meal. The massacre brings an immediate response from the whites and soldiers are recruited from Tennessee, Georgia and other territories, and (2) The Battle of Holy Ground on December 1813. 34 1814 Battle at Horseshoe Bend on March 27, leaves the Creek Red Sticks scattered and unorganized. Those that survive the battle flee south into northern Florida and band together as the Seminoles. Red Eagle (Billy Weatherford) surrenders to General Andrew Jackson at Fort Jackson later in the year. 34 1814 The Treaty of Fort Jackson is finalized on August 9, 1814. William Weatherford (Red Eagle) surrenders to Gen. Andrew Jackson and cede their lands to the federal government. This opens approximately half of present-day AL to white settlement. 37 1817 Alabama Territory is created when Congress passes an act to divide the Mississippi Territory and admit it into the union as a state. Alabama will remain a territory for two more years. 55 1835 Alabama gold rush begins in the east-centrl hill country. 57 1837 The Second Creek war begins in 1836. In 1837 The Battle of Hobdy's Bridge becomes the last indian battle in AL. 60 1840 Alabama reports a total population of 590,756 on the 1940 Federal Census. This includes 335,185 whites, 255,571 blacks, 253,532 slaves, zero Native Americans, and others. 70 1850 State population=771,623. The 1850 Federal Census reveals the White population=426,514; African-American population=345,109; Slave population=342,844; Free black population=2,265; Urban population=35,179; Rural population=736,444; Cotton production in bales=564,429; Corn production in bushels=28,754,048; Number of manufacturing establishments=1,026. Born somewhere in Georgia about 1803 and died somewhere in Alabama about 1885. He was about 82 years old. Born somewhere in Georgia about 1815 and died in Leary, Calhoun Co., Georgia on an unknown day in April 1870. He was about 55 years old. Born somewhere in Georgia about 1822 and died somewhere in Alabama about 1880. He was about 58 years old. He is the possible brother of Simeon. Green married Sarah Ann Lewis. Born somewhere in Georgia about 1824 and died somewhere in Alabama about 1860. She was about 36 years old.